Fantastic opportunity! 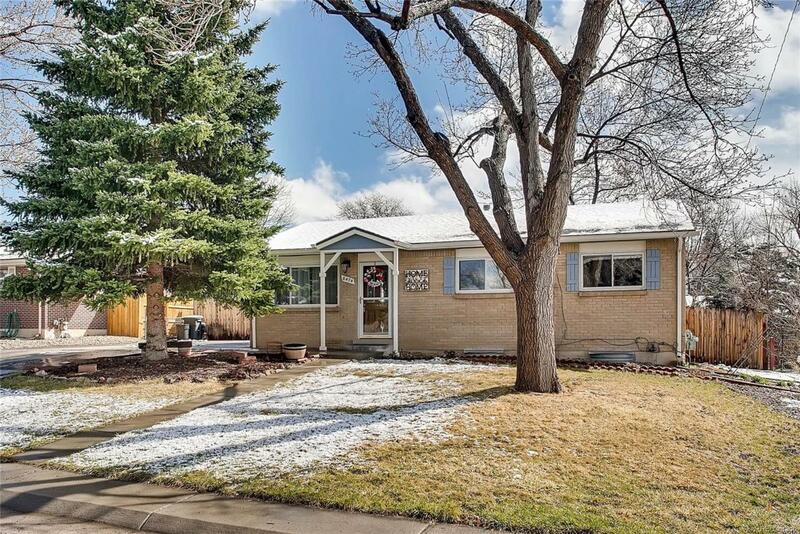 Updated starter home in Arvada! Awesome 3 BR, 2 BA brick ranch home with big fenced yard in the popular Far Horizons neighborhood! Enjoy backyard BBQs and yard games with friends and family. Relax on your big 26-foot patio while the kids enjoy the playset. Grow fresh produce in your big garden flanked by raspberry bushes and store yard tools in your handy shed. Move in ready with updated appliances, roof, furnace, hot water heater, ceiling fans, attic fan and windows! Two bedrooms on the main level with full tile bath, study, family room, dining area and kitchen with new stainless range! Master Bedroom on the lower level with full tile bath, great room, craft room and storage area with laundry. Walk to the neighborhood elementary school and enjoy neighborhood social activities! Near shopping, dining, golf, trails and Lake Arbor Park. Easy access to Rt 36. One-year AHS Warranty with an acceptable contract for your peace of mind. Wont Last! Call Now!